Tower Mint was founded by acclaimed sculptor Raphael Maklouf (famous for his effigy of Queen Elizabeth II featured on many Commonwealth coins between 1985 to 1997). From humble beginnings originally based in the Royal Borough of Greenwich, Tower Mint first opened its doors in 1976. Raphael stumbled into the world of medal minting after completing a series of small bronze busts of Sir Thomas Moore for the Tower of London. The commemorative miniatures proved so popular that before long the biggest names in London’s retail and tourism sector were enlisting the commemorative minting capabilities of Tower Mint to create retail gifts for their stores. In 1985 Raphael was enlisted to sculpt the third effigy of Her Majesty Queen Elizabeth II for the United Kingdom’s circulating coinage. The portrait is today an iconic part of British coinage history still used today on commemorative coins across the globe. Moving forward over thirty years, in 2016 Raphael created his most recent sculpture of Her Majesty Queen Elizabeth II for her Ninetieth birthday which is currently used on all Tower Mint commemorative coins issued by the Government of Gibraltar. As well as Royalty, Raphael has been sculptor to a long line of famous faces including the late great Richard Attenborough, and in recent years Tower Mint has welcomed royal correspondent Jenny Bond to the mint as well as Veterans such as Simon Western who served in the Falklands conflict and Ron Quested who served in the Battle of the Atlantic during World War Two. 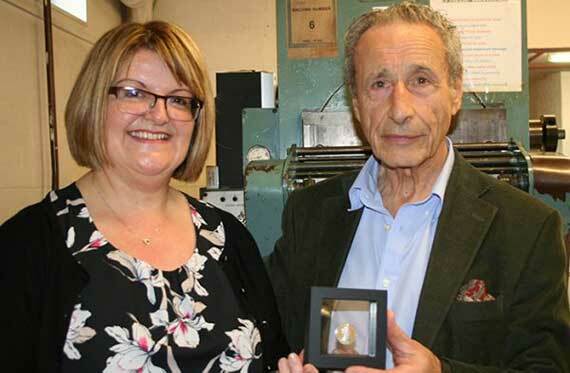 Raphael Maklouf presenting Paula Primrose from the Government of the Isle of Man with a special commemorative medal. 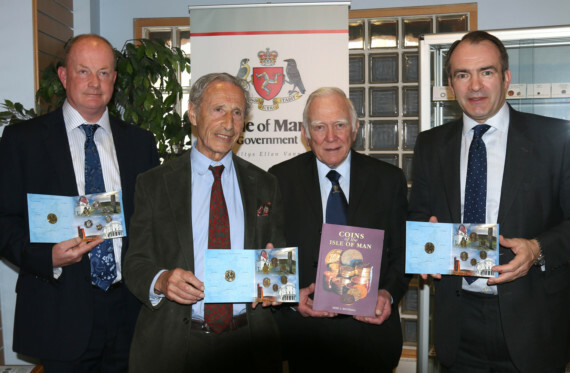 Raphael Maklouf at the official launch ceremony for the 2018 Isle of Man currency. 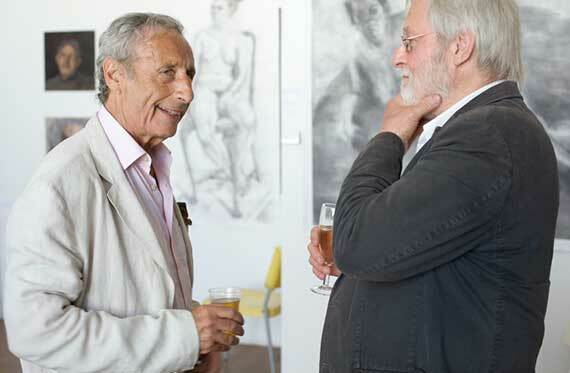 Raphael at a local art exhibition in London. In 2004 Tower Mint successfully won the tender as the official mint to the Government of Gibraltar minting circulating coinage. In 2017 Tower Mint was selected through official Government tender to officially strike the circulating and commemorative coins for the Isle of Man Treasury. The Tower Mint team today includes dedicated departments for die creation, die polishing, blank preparation and minting teams. Over forty years of history can be seen in Tower Mint by looking at the Tower Mint archive which holds over 14,000 original plaster models sculpted by hundreds of artists across the four decades. This would be over 70,000 hours of sculpting which is just under 3000 days or just over 8 years of artists passion to create coins and medals that have graced the hands of millions of customers over the years. Tower Mint continues to excel with an impressive list of customers from across the globe commemorating and celebrating some of the most defining moments in Royal, British and Overseas history while maintaining the traditions of one of the oldest industries in the world. “As the last remaining Mint in London I am proud that we uphold the tradition of minting currency in the capital maintaining a tradition since the dawn of London’s history”.